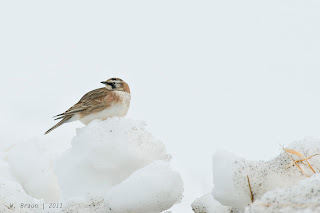 Yesterday we went to Elk Island National Park along the backroads north of Highway 16. 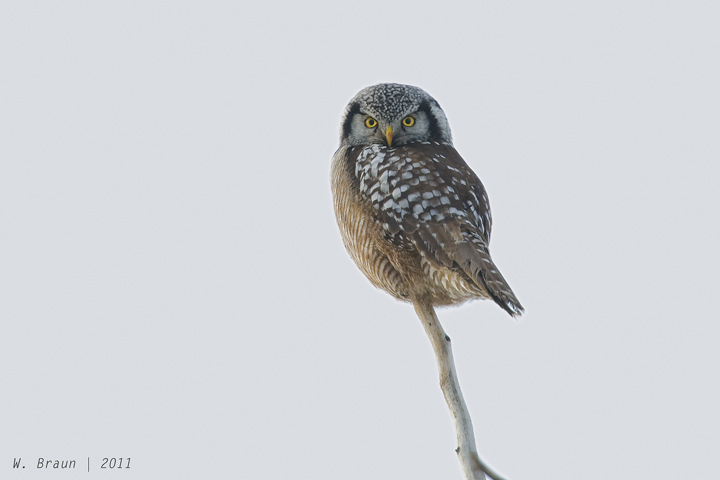 We'd hoped to have a look at the Northern Hawk Owl that has set up hunting territory near Ft. Saskatchewan. We saw the owl. More exciting, though, was coming across a pair of Horned Larks (Eremophila alpestris). 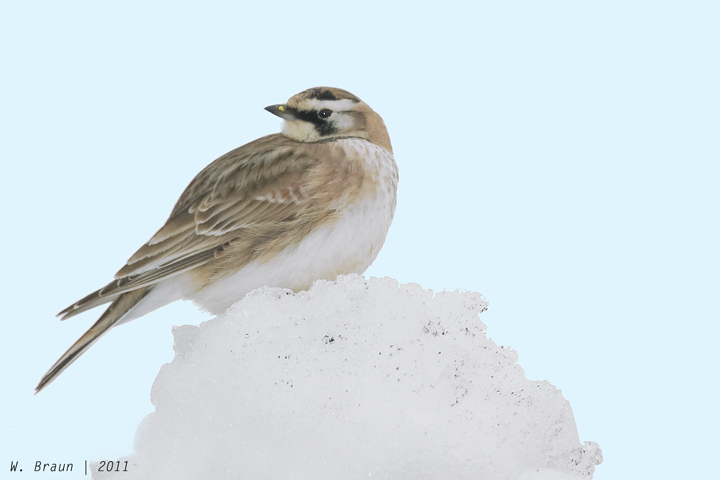 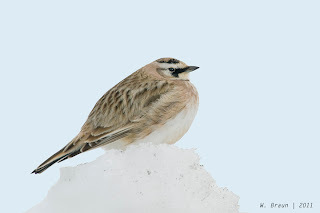 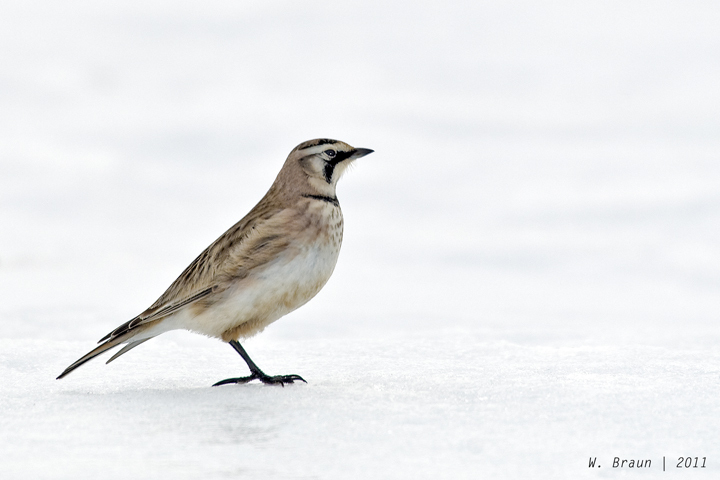 These are Alberta's earliest spring migrants, arriving in February, finding food on wind-swept farm fields or on the bare plowed edge range roads and township roads. Once the Horned Larks arrive I allow myself to get just a touch of spring fever.